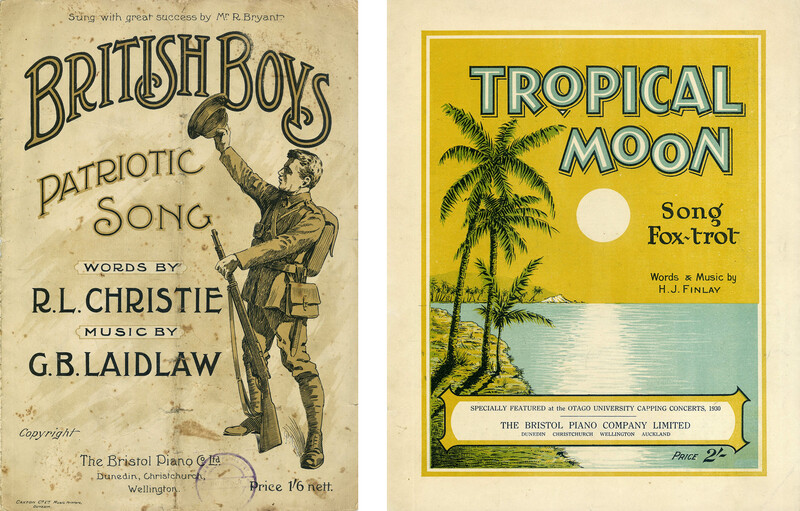 At the end of the nineteenth century there were two big music firms in New Zealand: Charles Begg & Co. and ‘The Dresden’. The head offices and showrooms of these businesses were right next door to each other in Princes Street. The Dresden Pianoforte Manufacturing & Agency Company had been established by David Theomin and Frederick Michaelis in 1883, in part of an older block of buildings designed by David Ross and built in 1867. These premises, between the Octagon and Moray Place in Princes Street, included a music warehouse (for sale of instruments, sheet music etc. ), piano and organ showrooms, piano manufacturing workshops, a concert room, and rooms for professional music teachers. 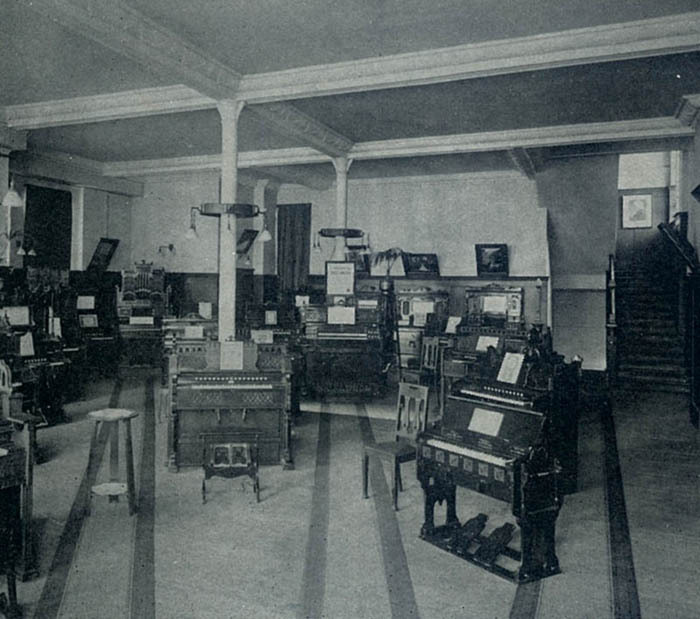 The company claimed that its Dunedin premises alone never held fewer than 200 to 250 large instruments, such as pianos, organs, and harmoniums. An innovative hire purchase scheme was hugely successful, and by 1907 the Dresden had 258 employees, and branches or agencies in 60 towns throughout New Zealand. A contract for the erection of a new seven-storey building designed by Salmond & Vanes was signed on 17 February 1912. The site was immediately to the south of the old one, where two other buildings from Ross’s 1867 block were demolished. The old Dresden premises (facelifted in the 1940s) survive today and are occupied by Moray Gallery and Toast Bar. Salmond & Vanes’ records in the Hocken Collections include two sketch drawings which show some of the evolution of the design. They are for buildings one storey lower than the final design, apparently on the original site, and one features striking half-timbered gables in Tudor style. Because of the fall of the land, two of the levels would be built below the street. The total cost of the building was £18,504, putting it among the most expensive erected in Dunedin in the first two decades of the twentieth century. £1,000 was spent on tiling alone, with the exterior decorated with yellow and black Faience tiles manufactured by the Leeds Fireclay Company (Burmantofts Pottery). Yellow and black were the Dresden company colours. The overall style was a mixture Tudor Revival and Art Nouveau styles with three three-storeyed oriel window bays, and arched window openings on the top floor. The building is one of the city’s earliest examples of reinforced concrete construction; and steel framing for the frontage included a 10-tonne girder manufactured by A. & T. Burt, reported to be the largest girder put into a Dunedin building up to that time. It was also among the tallest buildings in the city, with the hill it was built on giving it a higher total elevation than the larger New Zealand Express Company building in Bond Street. The builders were G. Lawrence & Sons, with Turnbull & Jones contracted for the electrical work and George Davies & Co. for the heating. Completion of the work was recorded by Salmond & Vanes on 20 June 1913. Theomin must have been pleased with it, as the following year his company commissioned the same architects to design a branch building in Cashel Street, Christchurch, which though smaller was very similar in style. In 1912 the piano was at the peak of its popularity in New Zealand, with more pianos imported that year than in any other before or since. Annual imports had increased gradually from 1,200 in 1878 to 5,700 in 1912. Most were German, but the First World War soon changed that. 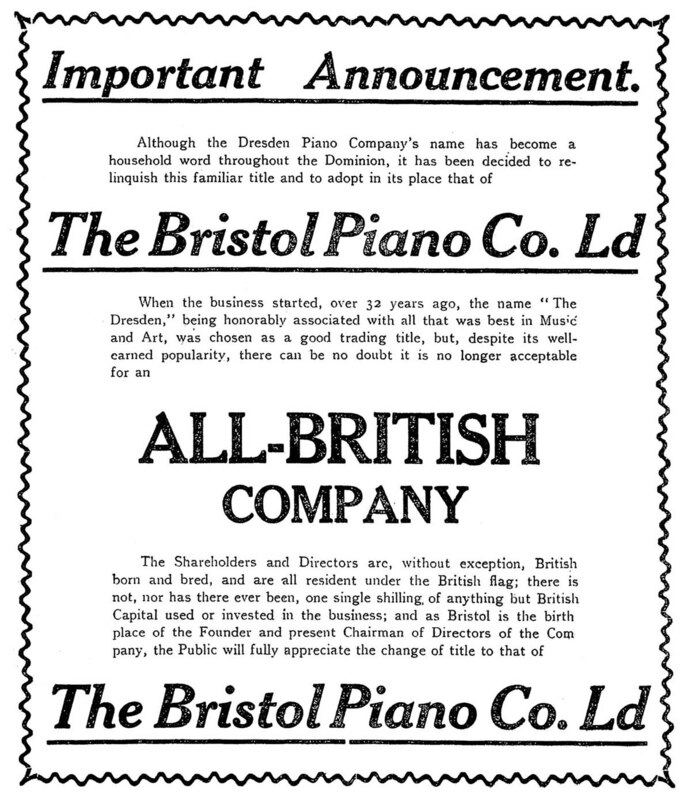 In 1915 the Dresden Piano Company changed its name to the Bristol Piano Company ‘for reasons which will be obvious to patriotic citizens’. There is evidence of real prejudice against the firm and its owners. A correspondent from Gisborne wrote to the sensationalist Truth newspaper complaining that Theomin was German, favoured German products, and employed Germans in influential positions. The paper defended the company’s founder, explaining that he was born in England and was the son of a Prussian Jew. The firm’s new name was taken from Theomin’s birthplace: Bristol. Other German or German-sounding names were changed during the war or shortly afterwards: the Dunedin Liedertafel became the Royal Dunedin Male Choir, Brunswick Street in South Dunedin became Loyalty Street, and members of the Hallenstein family altered their name to Halsted. 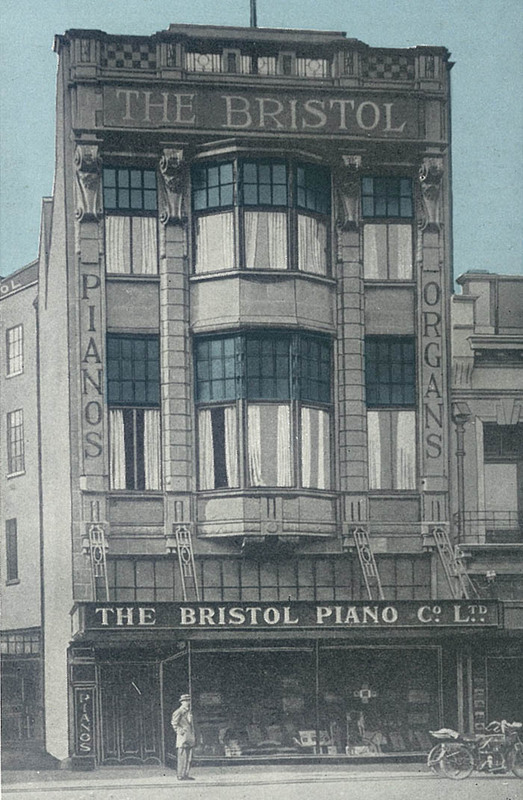 The Bristol Piano Company building was a hub of musical activity in the 1920s and even had its own concert chamber, but the depression, new forms of entertainment, and declining sales of pianos, were hard on the company. 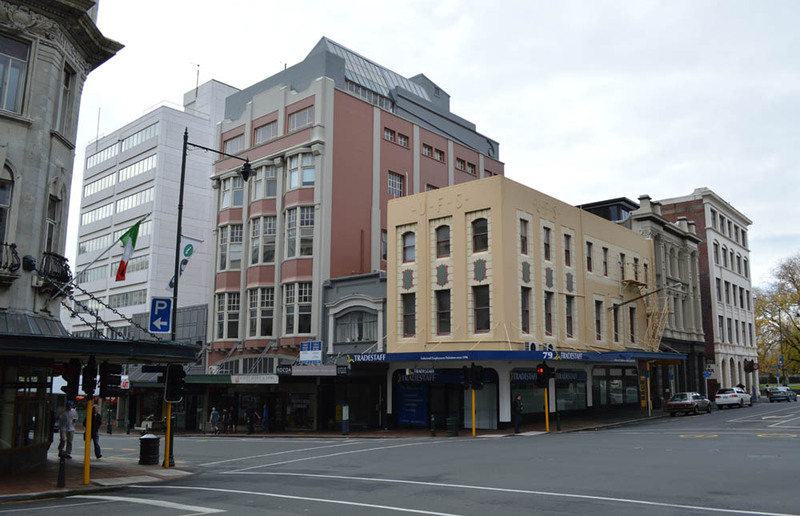 In 1933 the Dunedin building was sold to a syndicate of Dunedin businessmen and rebuilt as shops and professional offices. It was noted at this time that a stone wall constructed by convict labour in 1862 could still be seen in the basement. The building was renamed the Capitol Building and is still known by that name. 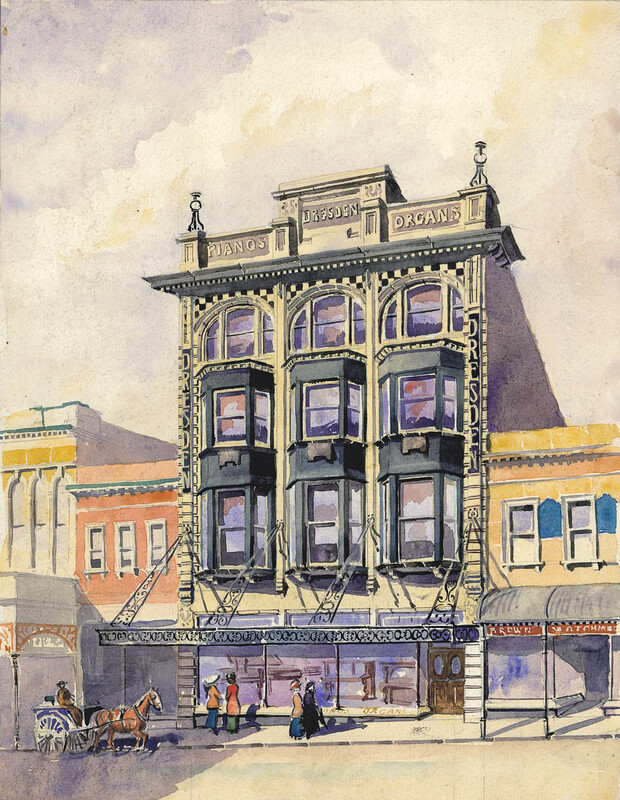 The Bristol Piano Company moved to Dowling Street and ceased trading in Dunedin in 1936. The national company went into liquidation in 1938. 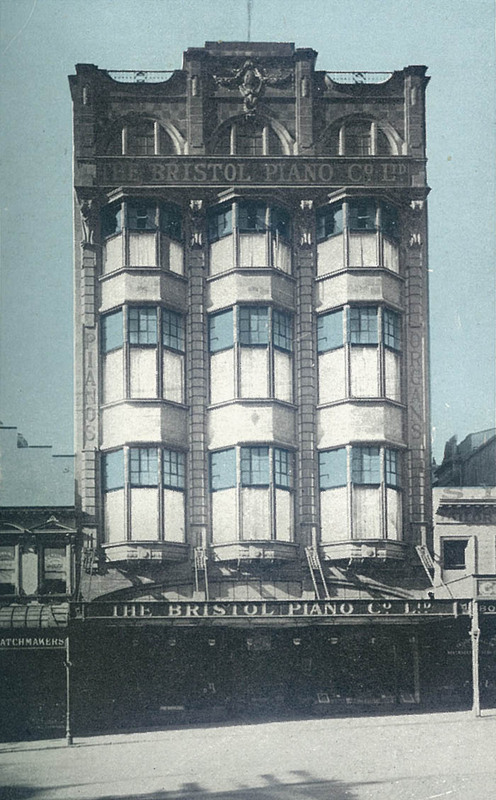 A later music firm in Dunedin called the Bristol Piano Company was a separate entity. Occupants of offices in the building have included lawyers, doctors, and dentists. In the early years many of the rooms were taken by music teachers and the Barth School of Music (1921-1972) were long-standing tenants. This school was run by three sisters: Beatrice, Irene, and Ruby. They had a room each on the fourth floor for individual lessons, and there was a classroom where they taught theory to the younger pupils and hosted meetings. They were leading members of the Society of Women Musicians of Otago, and Beatrice administered the Dunedin Centre of Trinity College of Music. 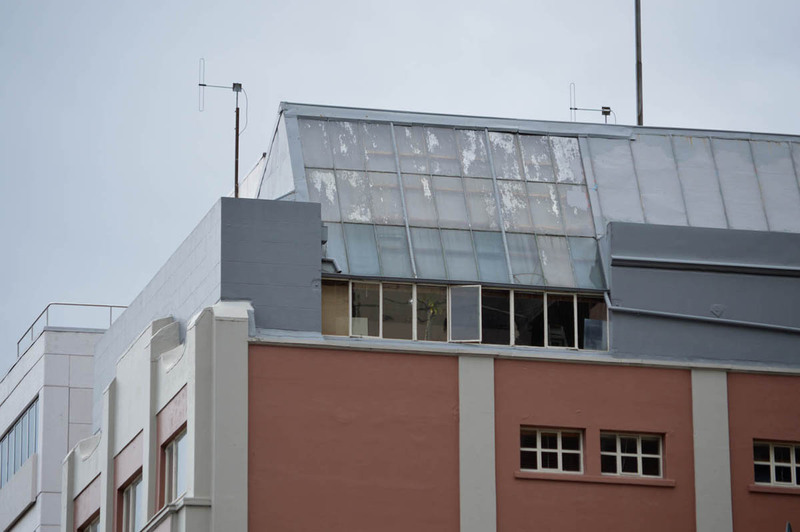 A photography studio designed by the architects Miller & White was added above the existing top storey of the building in 1933. This was originally occupied by the photographer J.J. Webster, and in 1954 was taken over by Campbell Photography, which continued there to 1986. The lawyers Albert Alloo and Sons are now the longest-standing occupants of the building. Much of the façade detail has been destroyed or covered over, including decorative tilework, parapet railings and detailing, and capitals. The arched window openings on the fourth floor have been replaced with square ones. The essential form of the building remains unchanged, however, and the original window joinery of the oriel windows is also mostly intact. Maybe it will return to the yellow and black Dresden colours one day. For nearly 60 years the building was much higher than its neighbours, until Evan Parry House was built on the site of the Bristol’s old rivals, Begg’s. It still makes a strong statement today, being tall and imposing among a collection of mostly lower buildings, and bringing variety to the streetscape. Newspaper references: Otago Daily Times, 17 April 1867 p.1 (erection of old building), 23 April 1900 p.4 (about the company), 1 September 1909 p.3 (about the company), 22 August 1912 p.6 (new building); Otago Witness 18 May 1867 p.11 (old building); Grey River Argus, 7 January 1915 p.5 (name change); N.Z. Truth, 10 April 1915 p.7 (Theomin and Germany); Evening Star, 31 May 1933 p.3 (image and reference to wall). 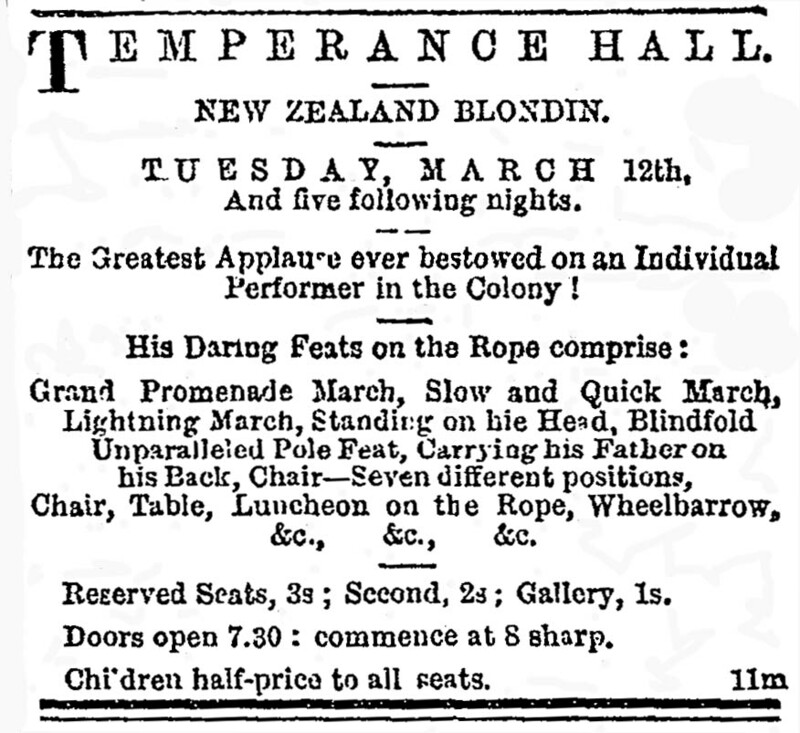 All references except the Evening Star sourced from Papers Past, National Library of New Zealand. Other references: Dalziel Architects records, Hocken Collections (MS-2758/0727); Salmond Anderson Architects records, Hocken Collections (MS-3821); Stone’s and Wise’s directories; Suzanne Court, ‘Barth, Beatrice Mary’ from Dictionary of New Zealand Biography; W.H. Morton Cameron, Ports and Cities of the World (London: Globe Encyclopedia Co., ). This entry was posted in Buildings, Uncategorized and tagged Bristol Piano Company, David Ross, David Theomin, Dresden Piano Company, James Louis Salmond, Jewish community, Lawrence & Sons, Lawyers, Miller & White, Music, Photography studios, Robert Newton Vanes, Salmond & Vanes on 28 April 2013 by David Murray. This post continues the theme of public halls with the Oxford Buildings, known originally as the Temperance Hall and later as the Choral Hall. 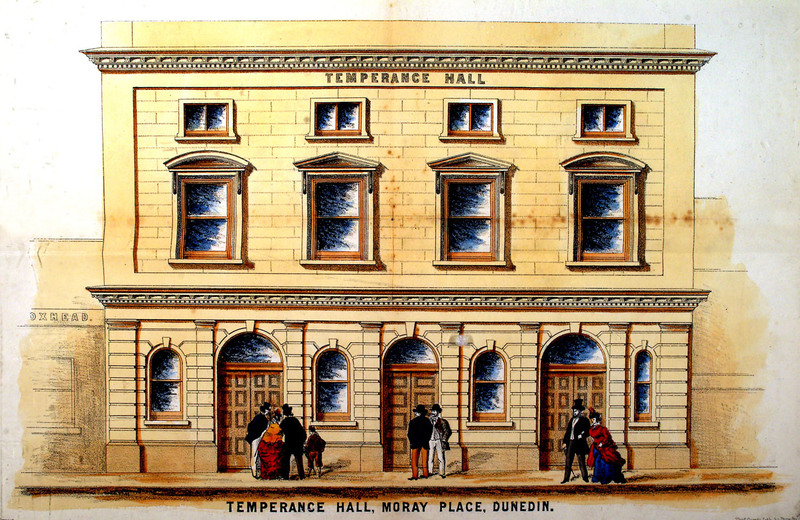 Completed in 1874, this venue was erected for the Dunedin Temperance Hall Company, a group formed chiefly by members of the Pioneer Lodge of the Temperance Order of Good Templars. The building was intended for the use of various local temperance groups, which were then part of a large, vigorous, and influential movement. They aimed to fight what one local clergyman described as ‘great evils arising from intoxicating drinks’. The hall was also available for general hire. On the ground floor were offices and the ‘lower hall’ or meeting room, which measured 25 x 41 feet. On the first floor was the larger ‘upper hall’, which measured 72 x 43 feet and contained sitting room for 750 people. 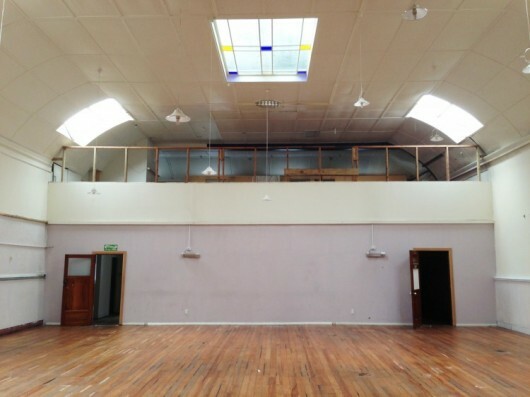 This hall had a stage and gallery and an ‘elliptical cove’ ceiling of varnished kauri with sunlights of stained glass. Kauri timber was used throughout the building. The facade was designed in a simple Renaissance Revival style, with rustication and round-headed windows on the ground floor, and curved and triangular pediments above the windows on the first floor. 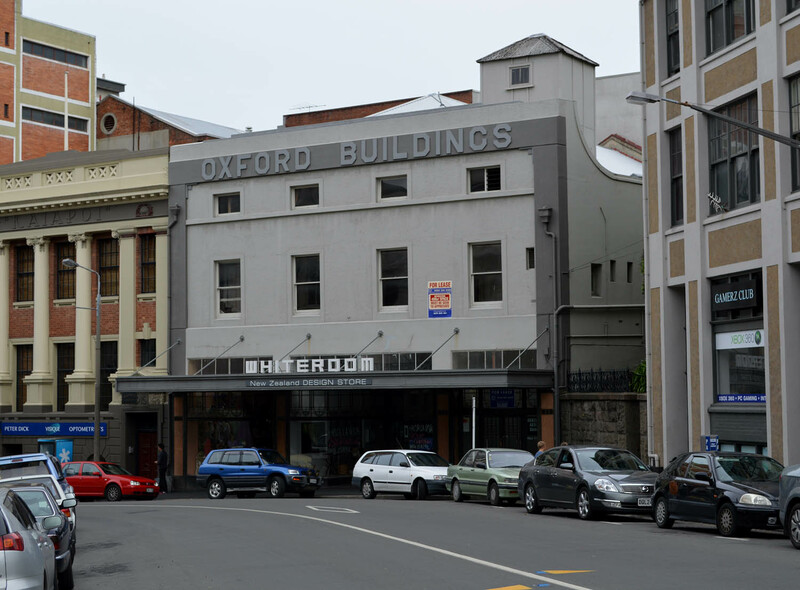 The building was described in the Otago Daily Times as being of a ‘plain but substantial character’. The architect was Robert Forrest and the hall was one of his early works in his transition from the role of building contractor to the role of architect. The building has been mistaken for a William Mason design due to confusion with an unrealised theatre project that G.R. West put forward for a nearby site around the same time. The builder was James Gore, who submitted a tender of £2,778. The foundation stone was laid by the Mayor, Andrew Mercer, on 26 December 1873, following a procession in which 1,200 people took part. A bottle placed in the stone contained a scroll signed by officers of various lodges, newspapers, coins, and a company prospectus. The building officially opened with a soiree, concert, and dance, on 14 August 1874. For decades, balls were held (the floors were designed with this in mind), dancing lessons given, and many concerts and other entertainments put on. The Kennedy Family were among the first to appear in the hall with their performances of popular Scottish ballads in 1874. The world billiards champion John Roberts played here in 1876, and the tight-rope walker Henry Morris (‘The New Zealand Blondin’) performed in 1878. A waxwork exhibition featured likenesses of the Kelly Gang and other famous people. One series of chamber music concerts was organised by Raphael Squarise and Arthur Barmeyer through their Otago Conservatorio of Music. A four-day Maori Carnival was held 1902. Religious meetings were held in the building for nearly 40 years. The Salvation Army’s first New Zealand meetings were held at the hall on 1 April 1883, both preceding and following the better-known outdoor gathering commemorated by a brass plaque on Cargill’s Monument. The Army continued to use the hall for three years. From 1886 the Open Brethren hired it, and it was at this time that the name of the building was changed from the Temperance Hall to the Choral Hall. The Brethren were led by the evangelist Alfred Brunton, who had earlier preached at Farley’s Hall. He led Brunton’s Choir, a group of up to 100 singers that was known throughout Otago, favouring the new style of emotional (and sometimes sentimental) Moody and Sankey songs. This ministry through music may explain the adoption of the Choral Hall name. Brunton died in 1900 and the Brethren continued to hold their meetings in the hall until 1920, when they moved to a new building. Many clubs and societies met in the Choral Hall. 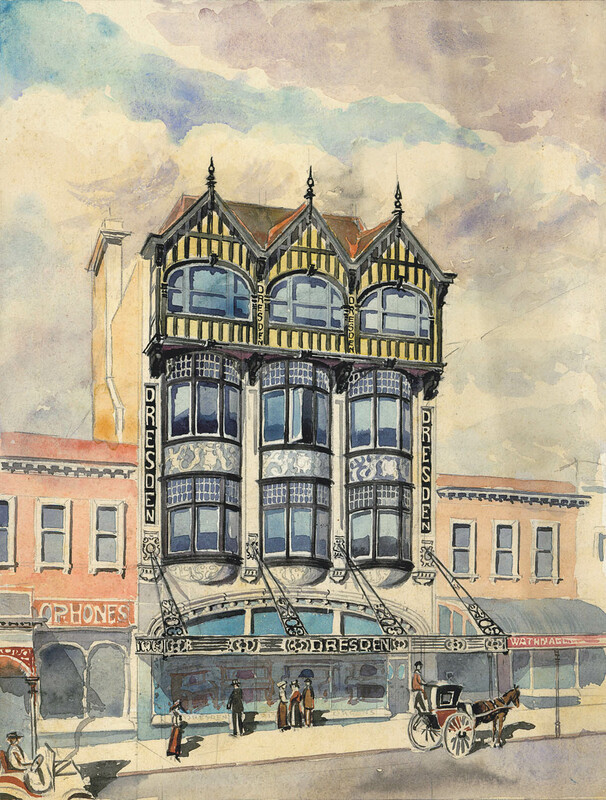 The Dunedin Burns Club held meetings and gave concerts, and from 1891 to 1906 the Otago Art Society held its annual exhibitions in the building. Frances Hodgkins, then just beginning her career, was among those who exhibited. There were also many political meetings and lectures, the latter including such topics as ‘Reincarnation as a Factor in Evolution’ (by a theosophist) and ‘Eighteen Months in the Canadian Far North’ (for the Otago Institute). 11 July 1889 was a significant day in the history of New Zealand. The inaugural meeting of the country’s first women’s union, the Tailoresses’ Union, was held at the Choral Hall and Rev. Rutherford Waddell gave a speech denouncing working conditions and ‘sweated labour’ in factories. This contributed to the breaking ‘sweating scandal’ that led to the Sweating Commission of 1890, which was in turn instrumental in the passing of the Factories Act and other legislation by a new Liberal Government. 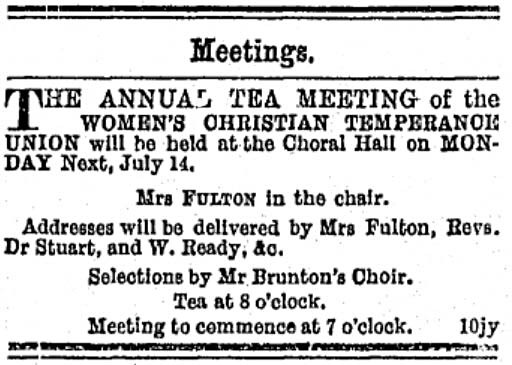 The Women’s Christian Temperance Union (WCTU) met in the hall and the Women’s Franchise League of New Zealand grew out of this, holding its inaugural meeting at the Choral Hall on 28 April 1892. This group played a pivotal role in promoting women’s suffrage and widely circulated the petition that was so influential in the successful campaign for women to be given the vote. In the early 1920s the first-floor hall was converted to a clothing factory for Butterworth Brothers, who employed about 40 staff on the premises, putting their robe department in the gallery and machinists on the main floor. A fire broke out on 16 March 1927, the same day that thousands of people gathered in the streets for the visit of the Duke and Duchess of York. The blaze extensively damaged the first floor and roof, but the ground floor (where the auctioneer Spedding used the old lower hall) escaped with little more than water damage. The building was rebuilt, but the panelling that can be seen in the hall today suggests that the polished kauri ceiling was lost. 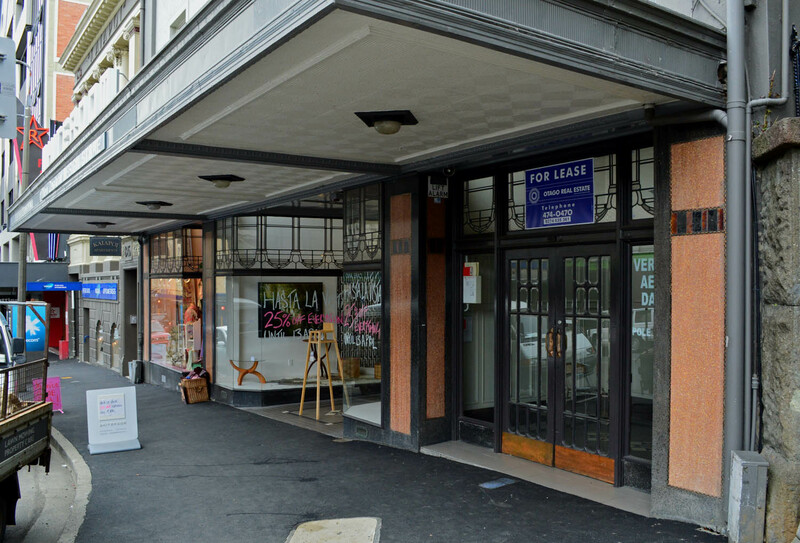 The space was later used by Sharland & Co. (wholesale druggists) and the Dunedin Frock Manufacturing Company. The Temperance Hall Company sold the building as early as 1882, due to debt and the difficulty of competing with newer halls. In the late nineteenth century it was owned by D.C. Cameron and in the early twentieth century it passed to the Taylor Trustees. In 1932 they employed the architects Miller & White to design extensive alterations to the building which were carried out by the Glue Construction Company at a cost of £2,500. This saw the removal of the lower hall and the building of three shops on the ground floor. 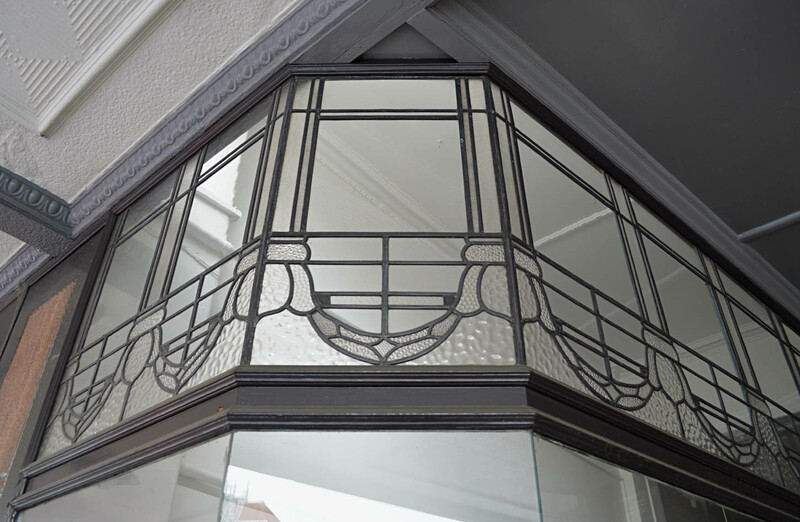 A new verandah used Wunderlich pressed metal, while shop fronts featured Australian rose mahogany woodwork, decorative leadlights, and orange and black terrazzo slabs. This work was described in the Evening Star as being in ‘ultra-modern style’. The main staircase was rebuilt in a new location and a lift installed by Turnbull & Jones, for which a small penthouse was added to the roof. 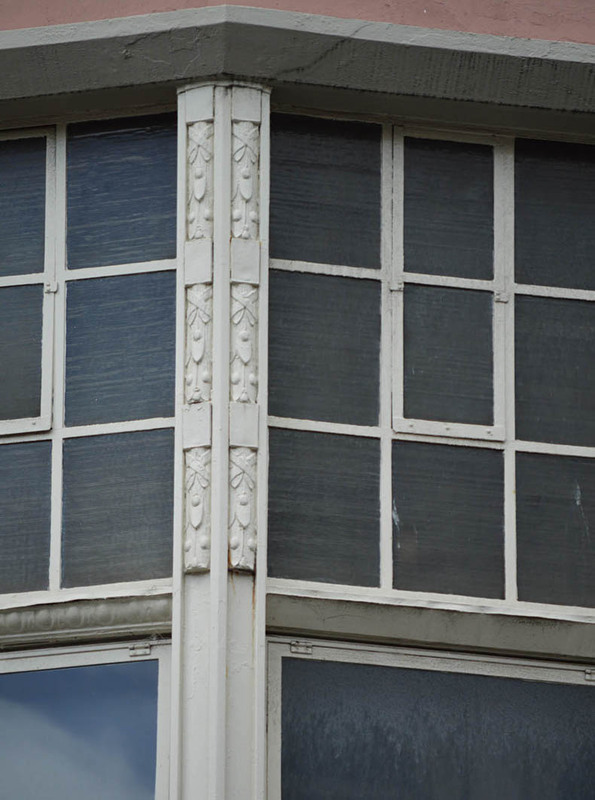 The first floor facade decoration seems to have been left unaltered at this time, but in 1944 it was stripped of its ornamentation and given a plainer style that was then fashionable. 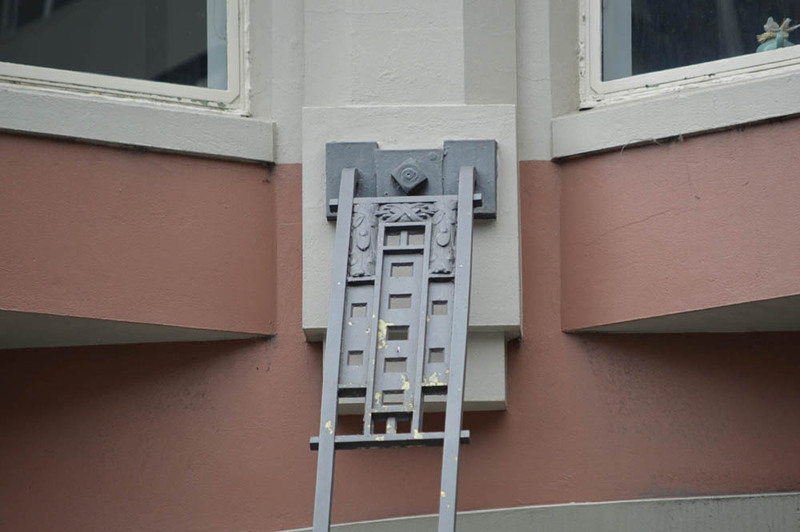 A new name, ‘Oxford Buildings’, was added to the parapet in relief lettering. The auctioneers Spedding’s (succeeded by Scandrett’s) took one of the shops. Eliza Squire (a milliner and seamstress) occupied the middle one from 1939 and remained there for twenty years. 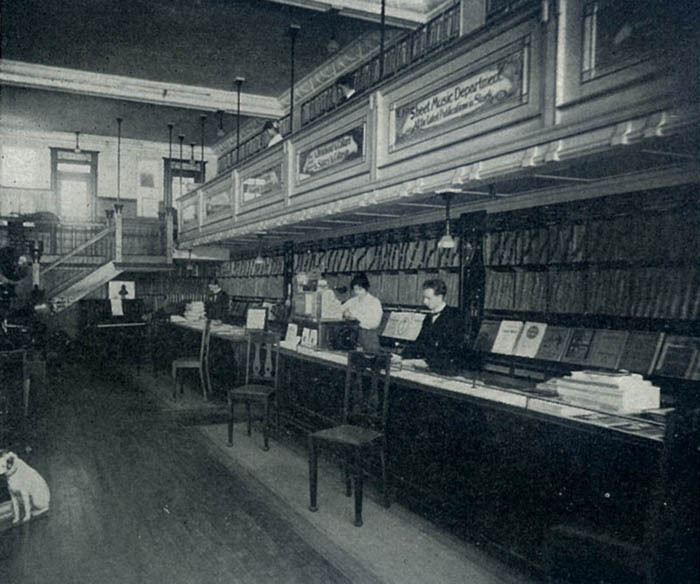 The other shop, at 25 Moray Place, was occupied by Modern Books from 1943 to 1954. This was run by the Dunedin Co-Operative Book Society (one of just a few bookshop co-operatives in New Zealand), which had socialist ideals and aimed ‘to foster the reading and writing and production of books, pamphlets, circulars and other publications of a nature that will promote an active and intelligent interest in progressive ideas and activities’. The shop specialised in New Zealand books, history, music,and philosophy, as well as general literature. Landfall editor Charles Brasch was involved with the management and day-to-day running of the shop, which was frequented by the local literati. Janet Frame sometimes browsed there in its last year or so, hoping to ‘glimpse one of the literary figures of Dunedin or one visiting from up north’. From roughly 1956 to 1976 the same shop was occupied by Catholic Supplies. The old upper hall became the Manhattan Lounge in 1960. The space remained essentially unchanged but the old gallery became a bar (originally a coffee bar) with a dance area on the floor below. The Lounge was a popular venue up to the 1980s, and later became the Manhattan Theatre. At the time of writing it is used by the Vertical Aerial Dance studio, which offers specialist pole dancing classes. The shops are now occupied by Modern Miss (vintage clothing), and Whiteroom (sellers of designware, furniture, lighting, and contemporary art). The building looks well kept but the grey exterior colour scheme is a little at odds with the warm colours of the terrazzo. A lot more could be included in the story of this building. In pulling together various strands I’ve been impressed by the national significance of its social and cultural history. It’s a frequently overlooked treasure, easily worthy of registration as a category I historic place. Newspaper references: Otago Daily Times, 25 March 1873 p.2 (meeting for proposed hall), 14 April 1873 p.2 (meeting – site put forward), 17 May 1873 p.2 (formation of company), 14 August 1873 p.3 (West’s proposed hall), 27 November 1873 p.4 (tender accepted), 17 January 1874 p.2 (Rev. James Clark on alcohol), 21 January 1874 p.6 (laying of foundation stone), 26 June 1874 p.2 (progress), 7 August 1874 p.3 (description – nearing completion), 15 August 1874 p.2 (opening and description), 21 August 1874 p.2 (finishing touches), 29 August 1874 p.8 (description), 18 September 1876 p.3 (John Roberts, billiards champion), 25 August 1882 p.3 (buildings to be sold), 28 September 1882 p.2 (sale), 27 June 1883 p.3 (lease to Salvation Army), 8 June 1889 p.2 (Sweating Scandal meeting), 29 April 1892 p.3 (Women’s Franchise League meeting), 5 July 1920 p.4 (Open Brethren move out), 17 March 1927 p.10 (fire), 18 March 1927 p.13 (fire); Evening Star, 17 March 1927 p.6 (fire), 20 September 1932 p.2 (alterations), 24 January 1933 p.1 (alterations). This entry was posted in Buildings and tagged 1870s, Book shops, Bookshops, Clothing, Factories, James Gore, Miller & White, Music, Renaissance revival, Robert Forrest, Temperance movement, Theatres and halls, Victorian on 10 April 2013 by David Murray.